Lose weight, rejuvenate your skin, increase your energy and strengthen your immune system with bea Skin Clinic's Vitamin Injections. No needles are used to extract blood beforehand, making bea Skin Clinic's needle-free PRP treatment totally painless. For a quick dose of energy, try a painless shot of vitamin B12. Celebrities and city workers are fans of vitamin injections, which are ideal for those seeking a pick-me-up. Vitamin B6 and vitamin B12 deficiency can result in a lack of energy, and B12 has been shown to reduce stress and fatigue. Over time, vitamin B12 shots can improve memory function and cardiovascular health. They are also a powerful weight loss aid. Vitamins maintain healthy nerve function, boost red blood cell production, and assist with DNA synthesis and repair. They are also integral to the health of our skin and eyes. bea Skin Clinic's Collagen & Vitamin Complex Shot delivers a strong dose of essential vitamins directly into the body, including vitamin C, vitamin B1, vitamin B2, vitamin B5, vitamin B6 and vitamin B12. The Vitamin Facial Rejuvenation Package is an all-inclusive option for those seeking an energy boost along with a healthy glow. 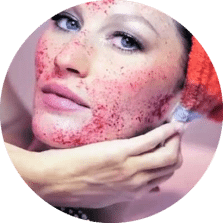 Choose between a vitamin B12 shot, vitamin complex shot or metabolism boost shot, followed by a medical microdermabrasion treatment, whereby crystals will gently exfoliate the skin and remove dirt and debris. Finally, LED light therapy will be used to stimulate collagen, kill acne bacteria and reduce inflammation. Finally, an antioxidant face mask will be applied to your skin. Lose weight and increase your energy levels at the same time! 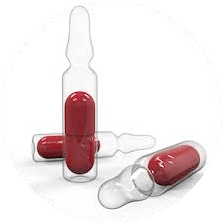 Vitamin Lipo Boost Shots kick start your metabolism. 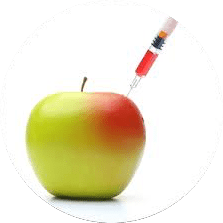 Injections are intramuscular (IM) and contain three fat burning amino acids: vitamin C, vitamin B12 and a range of B vitamins. Additional ingredients are as follows: methionine, inositol, choline,vitamin B1,vitamin B2,vitamin B3,vitamin B5 and vitamin B6. Nasal Oxygen Therapy - top up only £30 per 20 minutes This therapy is administered in conjunction with other IV therapy for enhancement. cancel any orders placed for products or services listed at the incorrect price.